The Order of Friars Minor, previously known as the "Observant" branch, is one of the three Franciscan First Orders within the Catholic Church, the others being the " Conventuals" (formed 1517) and " Capuchins" (1520). The Order of Friars Minor, in its current form, is the result of an amalgamation of several smaller orders completed in 1897 by Pope Leo XIII. The latter two, the Capuchin and Conventual, remain distinct religious institutes within the Catholic Church, observing the Rule of Saint Francis with different emphases. Conventual Franciscans are sometimes referred to as minorites or greyfriars because of their habit. In Poland and Lithuania they are known as Bernardines, after Bernardino of Siena, although the term elsewhere refers to Cistercians instead. The Secular Franciscan Order, OFS, originally known as the Brothers and Sisters of Penance or Third Order of Penance, try to live the ideals of the movement in their daily lives outside of religious institutes. The members of the Third Order Regular (TOR) live in religious communities under the traditional religious vows. They grew out of the Secular Franciscan Order. He was soon joined by a prominent fellow townsman, Bernard of Quintavalle, who contributed all that he had to the work, and by other companions, who are said to have reached the number of eleven within a year. The brothers lived in the deserted leper colony of Rivo Torto near Assisi; but they spent much of their time traveling through the mountainous districts of Umbria, always cheerful and full of songs, yet making a deep impression on their hearers by their earnest exhortations. Their life was extremely ascetic, though such practices were apparently not prescribed by the first rule which Francis gave them (probably as early as 1209) which seems to have been nothing more than a collection of Scriptural passages emphasizing the duty of poverty. Francis had to suffer from the dissensions just alluded to and the transformation they effected in the original constitution of the brotherhood making it a regular order under strict supervision from Rome. Exasperated by the demands of running a growing and fractious Order, Francis asked Pope Honorius III for help in 1219. He was assigned Cardinal Ugolino as protector of the Order by the pope. Francis resigned the day-to-day running of the Order into the hands of others but retained the power to shape the Order's legislation, writing a Rule in 1221 which he revised and had approved in 1223. After about 1223, the day-to-day running of the Order was in the hands of Brother Elias of Cortona, an able friar who would be elected as leader of the friars a few years after Francis's death (1226) but who aroused much opposition because of his autocratic leadership style. He planned and built the Basilica of San Francesco d'Assisi in which Saint Francis is buried, a building which includes the friary Sacro Convento, still today the spiritual centre of the Order. 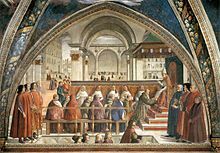 "The Confirmation of the Franciscan Rule" by Domenico Ghirlandaio (1449-1494), Capella Sassetti, Florence. In the external successes of the brothers, as they were reported at the yearly general chapters, there was much to encourage Francis. Caesarius of Speyer [ de], the first German provincial, a zealous advocate of the founder's strict principle of poverty, began in 1221 from Augsburg, with twenty-five companions, to win for the Order the land watered by the Rhine and the Danube. In 1224 Agnellus of Pisa led a small group of friars to England. The branch of the Order arriving in England became known as the "greyfriars". Beginning at Greyfriars at Canterbury, the ecclesiastical capital, they moved on to London, the political capital, and Oxford, the intellectual capital. From these three bases the Franciscans swiftly expanded to embrace the principal towns of England. The controversy about how to follow the Gospel life of poverty, which extends through the first three centuries of Franciscan history, began in the lifetime of the founder. The ascetic brothers Matthew of Narni and Gregory of Naples, a nephew of Ugolino,[ clarification needed] the two vicars-general to whom Francis had entrusted the direction of the order during his absence, carried through at a chapter which they held certain stricter regulations in regard to fasting and the reception of alms, which really departed from the spirit of the original rule. It did not take Francis long, on his return, to suppress this insubordinate tendency but he was less successful in regard to another of an opposite nature which soon came up. Elias of Cortona originated a movement for the increase of the worldly consideration of the Order and the adaptation of its system to the plans of the hierarchy which conflicted with the original notions of the founder and helped to bring about the successive changes in the rule already described. Francis was not alone in opposition to this lax and secularizing tendency. On the contrary, the party which clung to his original views and after his death took his "Testament" for their guide, known as Observantists or Zelanti, was at least equal in numbers and activity to the followers of Elias. The conflict between the two lasted many years and the Zelanti won several notable victories in spite of the favor shown to their opponents by the papal administration, until finally the reconciliation of the two points of view was seen to be impossible and the order was actually split into halves. After an intense apostolic activity in Italy, in 1219 Francis went to Egypt with the Fifth Crusade to announce the Gospel to the Saracens. He met with the Sultan Malik al-Kamil, initiating a spirit of dialogue and understanding between Christianity and Islam. The Franciscan presence in the Holy Land started in 1217, when the province of Syria was established, with Brother Elias as Minister. By 1229 the friars had a small house near the fifth station of the Via Dolorosa. In 1272 sultan Baibars allowed the Franciscans to settle in the Cenacle on Mount Zion. Later on, in 1309, they also settled in the Holy Sepulchre and in Bethlehem. In 1335 the king of Naples Robert of Anjou ( Italian: Roberto d'Angiò) and his wife Sancha of Majorca ( Italian: Sancia di Maiorca) bought the Cenacle and gave it to the Franciscans. Pope Clement VI by the Bulls "Gratias agimus" and "Nuper charissimae" (1342) declared the Franciscans as the official custodians of the Holy Places in the name of the Catholic Church. When the General Chapter could not agree on a common interpretation of the 1223 Rule it sent a delegation including St. Anthony of Padua to Pope Gregory IX for an authentic interpretation of this piece of papal legislation. The bull Quo elongati of Gregory IX declared that the Testament of St. Francis was not legally binding and offered an interpretation of poverty that would allow the Order to continue to develop. The earliest leader of the strict party was Brother Leo, the witness of the ecstasies of Francis on Monte Alverno and the author of the Speculum perfectionis, a strong polemic against the laxer party. Next to him came John Parenti, the first successor of Francis in the headship of the Order. In 1232 Elias succeeded him, and under him the Order significantly developed its ministries and presence in the towns. Many new houses were founded, especially in Italy, and in many of them special attention was paid to education. 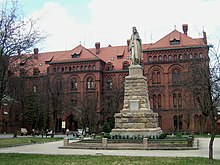 The somewhat earlier settlements of Franciscan teachers at the universities (in Paris, for example, where Alexander of Hales was teaching) continued to develop. Contributions toward the promotion of the Order's work, and especially the building of the Basilica in Assisi, came in abundantly. Funds could only be accepted on behalf of the friars for determined, imminent, real necessities that could not be provided for from begging. Gregory IX, in Quo elongati, authorized agents of the Order to have custody of such funds where they could not be spent immediately. Elias pursued with great severity the principal leaders of the opposition, and even Bernardo di Quintavalle, the founder's first disciple, was obliged to conceal himself for years in the forest of Monte Sefro. St. Clare of Assisi, whom St. Francis saw as his "little daughter" and who is now considered the foundress of the Poor Clares, consistently backed Elias as faithfully reflecting the mind of St. Francis. 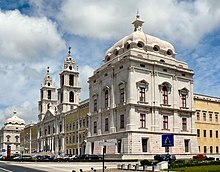 A Franciscan Convent in Mafra in Portugal. Elias governed the Order from the center, imposing his authority on the provinces (as had Francis). A reaction to this centralized government was led from the provinces of England and Germany. At the general chapter of 1239, held in Rome under the personal presidency of Gregory IX, Elias was deposed in favor of Albert of Pisa, the former provincial of England, a moderate Observantist. This chapter introduced General Statutes to govern the Order and devolved power from the Minister General to the Ministers Provincial sitting in chapter. The next two Ministers General, Haymo of Faversham (1240–44) and Crescentius of Jesi (1244–47), consolidated this greater democracy in the Order but also led the Order towards a greater clericalization. The new Pope Innocent IV supported them in this. In a bull of November 14, 1245, this pope even sanctioned an extension of the system of financial agents, and allowed the funds to be used not simply for those things that were necessary for the friars but also for those that were useful. The Observantist party took a strong stand in opposition to this ruling and agitated so successfully against the lax General that in 1247, at a chapter held in Lyon, France—where Innocent IV was then residing—he was replaced by the strict Observantist John of Parma (1247–57) and the Order refused to implement any provisions of Innocent IV that were laxer than those of Gregory IX. Elias, who had been excommunicated and taken under the protection of Frederick II, was now forced to give up all hope of recovering his power in the Order. He died in 1253, after succeeding by recantation in obtaining the removal of his censures. Under John of Parma, who enjoyed the favor of Innocent IV and Pope Alexander IV, the influence of the Order was notably increased, especially by the provisions of the latter pope in regard to the academic activity of the brothers. He not only sanctioned the theological institutes in Franciscan houses, but did all he could to support the friars in the Mendicant Controversy, when the secular Masters of the university of Paris and the Bishops of France combined to attack the mendicant orders. It was due to the action of Alexander IV's envoys, who were obliged to threaten the university authorities with excommunication, that the degree of doctor of theology was finally conceded to the Dominican Thomas Aquinas and the Franciscan Bonaventure (1257), who had previously been able to lecture only as licentiates. The Franciscan Gerard of Borgo San Donnino at this time issued a Joachimite tract and John of Parma was seen as favoring the condemned theology of Joachim of Fiore. To protect the Order from its enemies, John was forced to step down and recommended Bonaventure as his successor. 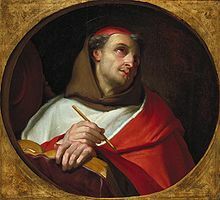 Bonaventure saw the need to unify the Order around a common ideology and both wrote a new life of the founder and collected the Order's legislation into the Constitutions of Narbonne, so called because they were ratified by the Order at its chapter held at Narbonne, France, in 1260. In the chapter of Pisa three years later Bonaventure's Legenda maior was approved as the only biography of Francis and all previous biographies were ordered to be destroyed. Bonaventure ruled (1257–74) in a moderate spirit, which is represented also by various works produced by the order in his time—especially by the Expositio regulae written by David of Augsburg soon after 1260. Bonaventure (1221-1274), painting by Claude François, ca. 1650-1660. The successor to Bonaventure, Jerome of Ascoli or Girolamo Masci (1274–79), (the future Pope Nicholas IV), and his successor, Bonagratia of Bologna (1279–85), also followed a middle course. Severe measures were taken against certain extreme Spirituals who, on the strength of the rumor that Pope Gregory X was intending at the Council of Lyon (1274–75) to force the mendicant orders to tolerate the possession of property, threatened both pope and council with the renunciation of allegiance. Attempts were made, however, to satisfy the reasonable demands of the Spiritual party, as in the bull Template:Exiit qui seminat of Pope Nicholas III (1279), which pronounced the principle of complete poverty meritorious and holy, but interpreted it in the way of a somewhat sophistical distinction between possession and usufruct. The bull was received respectfully by Bonagratia and the next two generals, Arlotto of Prato (1285–87) and Matthew of Aqua Sparta (1287–89); but the Spiritual party under the leadership of the Bonaventuran pupil and apocalyptic Pierre Jean Olivi regarded its provisions for the dependence of the friars upon the pope and the division between brothers occupied in manual labor and those employed on spiritual missions as a corruption of the fundamental principles of the Order. They were not won over by the conciliatory attitude of the next general, Raymond Gaufredi (1289–96), and of the Franciscan Pope Nicholas IV (1288–92). The attempt made by the next pope, Celestine V, an old friend of the order, to end the strife by uniting the Observantist party with his own order of hermits (see Celestines) was scarcely more successful. Only a part of the Spirituals joined the new order, and the secession scarcely lasted beyond the reign of the hermit-pope. Pope Boniface VIII annulled Celestine's bull of foundation with his other acts, deposed the general Raymond Gaufredi, and appointed a man of laxer tendency, John de Murro, in his place. The Benedictine section of the Celestines was separated from the Franciscan section, and the latter was formally suppressed by Pope Boniface VIII in 1302. The leader of the Observantists, Olivi, who spent his last years in the Franciscan house at Tarnius and died there in 1298, had pronounced against the extremer "Spiritual" attitude, and given an exposition of the theory of poverty which was approved by the more moderate Observantists, and for a long time constituted their principle. Under Pope Clement V (1305–14) this party succeeded in exercising some influence on papal decisions. In 1309 Clement had a commission sit at Avignon for the purpose of reconciling the conflicting parties. Ubertino of Casale, the leader, after Olivi's death, of the stricter party, who was a member of the commission, induced the Council of Vienne to arrive at a decision in the main favoring his views, and the papal constitution Exivi de paradiso (1313) was on the whole conceived in the same sense. Clement's successor, Pope John XXII (1316–34), favored the laxer or conventual party. By the bull Quorundam exigit he modified several provisions of the constitution 'Exivi, and required the formal submission of the Spirituals. Some of them, encouraged by the strongly Observantist general Michael of Cesena, ventured to dispute the pope's right so to deal with the provisions of his predecessor. Sixty-four of them were summoned to Avignon and the most obstinate delivered over to the Inquisition, four of them being burned (1318). Shortly before this all the separate houses of the Observantists had been suppressed. The Clareni or Clarenini, an association of hermits established on the river Clareno in the march of Ancona by Angelo da Clareno after the suppression of the Franciscan Celestines by Boniface VIII. It maintained the principles of Olivi, and, outside of Umbria, spread also in the kingdom of Naples, where Angelo died in 1337. Like several other smaller congregations, it was obliged in 1568 under Pope Pius V to unite with the general body of Observantists. As a separate congregation, this originated through the union of a number of houses which followed Olivi after 1308. It was limited to southwestern France and, its members being accused of the heresy of the Beghards, was suppressed by the Inquisition during the controversies under John XXII. This was founded in the hermitage of St. Bartholomew at Brugliano near Foligno in 1334. The congregation was suppressed by the Franciscan general chapter in 1354; reestablished in 1368 by Paolo de' Trinci of Foligno; confirmed by Gregory XI in 1373, and spread rapidly from Central Italy to France, Spain, Hungary, and elsewhere. Most of the Observantist houses joined this congregation by degrees, so that it became known simply as the "brothers of the regular Observance." It acquired the favor of the popes by its energetic opposition to the heretical Fraticelli, and was expressly recognized by the Council of Constance (1415). It was allowed to have a special vicar-general of its own and legislate for its members without reference to the conventual part of the Order. Through the work of such men as Bernardino of Siena, Giovanni da Capistrano, and Dietrich Coelde (b. 1435? at Munster; was a member of the Brethren of the Common Life, died December 11, 1515), it gained great prominence during the 15th century. By the end of the Middle Ages, the Observantists, with 1,400 houses, comprised nearly half of the entire Order. Their influence brought about attempts at reform even among the Conventuals, including the quasi-Observantist brothers living under the rule of the Conventual ministers (Martinianists or "Observantes sub ministris"), such as the male Colletans, later led by Boniface de Ceva in his reform attempts principally in France and Germany; the reformed congregation founded in 1426 by the Spaniard Philip de Berbegal and distinguished by the special importance they attached to the little hood (cappuciola); the Neutri, a group of reformers originating about 1463 in Italy, who tried to take a middle ground between the Conventuals and Observantists, but refused to obey the heads of either, until they were compelled by the pope to affiliate with the regular Observantists, or with those of the Common Life; the Caperolani, a congregation founded about 1470 in North Italy by Peter Caperolo, but dissolved again on the death of its founder in 1481; the Amadeists, founded by the noble Portuguese Amadeo, who entered the Franciscan order at Assisi in 1452, gathered around him a number of adherents to his fairly strict principles (numbering finally twenty-six houses), and died in the odor of sanctity in 1482. 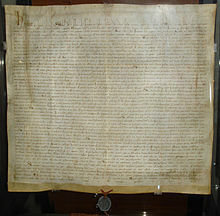 Projects for a union between the two main branches of the Order were put forth not only by the Council of Constance but by several popes, without any positive result. By direction of Pope Martin V, John of Capistrano drew up statutes which were to serve as a basis for reunion, and they were actually accepted by a general chapter at Assisi in 1430; but the majority of the Conventual houses refused to agree to them, and they remained without effect. At John of Capistrano's request Eugenius IV issued a bull (Ut sacra minorum, 1446) aimed at the same result, but again nothing was accomplished. Equally unsuccessful were the attempts of the Franciscan Pope Sixtus IV, who bestowed a vast number of privileges on both the original mendicant orders, but by this very fact lost the favor of the Observants and failed in his plans for reunion. Julius II succeeded in reducing some of the smaller branches, but left the division of the two great parties untouched. This division was finally legalized by Leo X, after a general chapter held in Rome in 1517, in connection with the reform-movement of the Fifth Lateran Council, had once more declared the impossibility of reunion. The less strict principles of the Conventuals, permitting the possession of real estate and the enjoyment of fixed revenues, were recognized as tolerable, while the Observants, in contrast to this usus moderatus, were held strictly to their own usus arctus or pauper. All of the groups that followed the Franciscan Rule literally were united to the Observants, and the right to elect the Minister General of the Order, together with the seal of the Order, was given to this united grouping. [ when?] This grouping, since it adhered more closely to the rule of the founder, was allowed to claim a certain superiority over the Conventuals. The Observant general (elected now for six years, not for life) inherited the title of "Minister-General of the Whole Order of St. Francis" and was granted the right to confirm the choice of a head for the Conventuals, who was known as "Master-General of the Friars Minor Conventual"—although this privilege never became practically operative. The Conventual Franciscans consists of 290 houses worldwide with a total of almost 5000 friars. They have experienced growth in this century throughout the world. They are located in Italy, the United States, Canada, Australia, and throughout Latin America, and Africa. They are the largest in number in Poland because of the work and inspiration of St. Maximilian Kolbe. Bernardino Ochino (1487-1564), co-founder of the Capuchin Order. 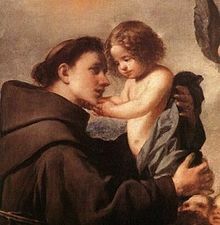 The Order of Friars Minor Capuchin are the youngest branch of Franciscans, founded in 1525 by Matteo Serafini ( Matteo Bassi, Matteo da Bascio), an Observant friar, who felt himself called to an even stricter observance of Franciscan austerity to be closer to the original intentions of St. Francis. Thanks to the support of the Papal Court the new branch received early recognition and grew fast, first in Italy and after 1574 all over Europe and throughout the world. After many tribulations, the Capuchins became a separate order in 1619. The name Capuchins refers to the particular shape of the long hood or capuce; originally a popular nickname, it has become a part of the official name of the Order, which now exists in 106 countries all over the world, with around 10,500 brothers living in more than 1700 communities (fraternities, friaries). 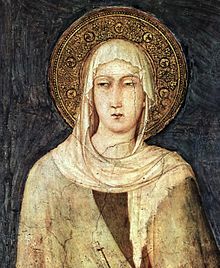 Clare of Assisi (1194-1253), founder of the Poor Clares, in a painting by Simone Martini (1284-1344) in the Basilica of San Francesco d'Assisi. The Poor Clares follow the Rule of St. Clare which was approved by Pope Innocent IV the day before Clare's death in 1253. The main branch of the Order (OSC) follows the observance of Pope Urban. Other branches established since that time, who operate under their own unique Constitutions, are the Colettine Poor Clares (PCC – founded 1410), the Capuchin Poor Clares (OSC Cap. – founded 1538), and the Poor Clares of Perpetual Adoration (PCPA – founded 1854). Various contemporary groups go back to the Third Order of St. Francis (TOR), the Secular Franciscan Order, founded by St Francis. These were people who desired to grow in holiness in their daily lives without entering monastic life. After founding the Friars Minor and seeing a need, Francis created the Secular Franciscan Order, also known as Brothers and Sisters of Penance. During his lifetime, many married men and women and even clergy and hermits were drawn to the vision of life offered by Francis, but due to their life commitments they were not able to enter the Friars Minor or the Poor Clares. For this reason, he founded a way of life to which married men and women, as well as the single and the secular clergy, could belong and live according to the Gospel. According to the traditions of the Order, the original Rule was given by St. Francis in 1221 to a married couple, Luchesius Modestini and his wife, Buonadonna, who wished to follow him but did not feel called to separate as a married couple. The Secular Franciscan Order, known as the Third Order Secular of St. Francis prior to 1978, is an order founded by St. Francis in 1212 for brothers and sisters who do not live in a religious community. Members of the order continue to live secular lives, however they do gather regularly for fraternal activities. In the United States alone there are 17,000 professed members of the order. Members of the Order live according to a Rule composed by St Francis in 1221. The Rule was slightly modified during the centuries to be adapted to the changing times and replaced at the turn of the 20th century by Pope Leo XIII, himself a member of the Order. A new and current Rule was approved by Pope Paul VI in 1978, and the Third Order was renamed the Secular Franciscan Order. It is an international organization with its own Minister General based in Rome. 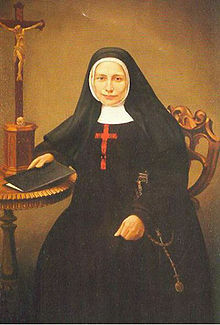 Blessed Mary Frances Schervier (1819-1876) was a member of the Third Order of St. Francis who became the foundress of the Poor Sisters of St. Francis, founded to serve the needy. Within a century of the death of St. Francis, members of the Third Order began to live in common, in an attempt to follow a more ascetical way of life. The Blessed Angela of Foligno (+1309) was foremost among those who achieved great depths in their lives of prayer and service of the poor, while living in community with other women of the Order. This movement continued in North America as various congregations arose from one coast to another, in answer to the needs of the large emigrant communities that were flooding the cities of the United States and Canada. The Third Order Regular of the Brothers of the Poor of St. Francis of Assisi, CFP, are an active community based in the United States with houses in Belgium, The Netherlands, Germany, and Brazil. These Franciscans strive to live an integrated life through prayer, community, and ministry to the poor, neglected and disadvantaged youth, the powerless, people in need, and the elderly. The Brothers of the Poor live by their vows of poverty (living a simple lifestyle), consecrated chastity (loving all, possessing no one, striving sincerely, for singleness of heart, a celibate way of loving and being loved), and obedience (to God, to the community, to the Church, and to self). The Brothers of the Poor also serve persons with AIDS and people who ask for help, regardless of their religion or their social/economic background. They are teachers, childcare workers, social workers, counselors, pastoral ministers, retreat ministers, religious educators, and school administrators, along with other tasks. 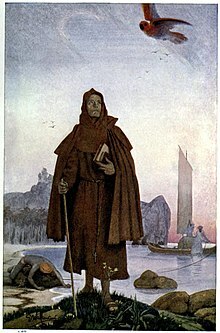 The Brothers and Sisters of Penance of St. Francis, is a private confraternity of the Roman Catholic Church whose members strive to model their lives according to the Rule and Statutes of the Primitive Rule of the Third Order of St. Francis, which was written for lay people in 1221 by St. Francis of Assisi. Right now there are several hundred members within the United States and a few hundred more throughout the world. The order was originally started in 1996 by members of the Archdiocese of St. Paul in Minnesota. In 1435, Saint Francis of Paola founded the "Poor Hermits of Saint Francis of Assisi," later known as the "Hermits of the Order of Minims," and then renamed the "Order of Minims" in 1506 by Pope Julius II. There are mendicant friars, contemplative nuns, and lay tertiaries. The Society of the Atonement, also known as Graymoor Friars and Graymoor Sisters, started in 1898 as a religious community in the Episcopal Church, and came into union with the Holy See in 1909. The Franciscan Friars of the Immaculate started in 1970, and became an institute with Pontifical Right in 1998. In that same year, the Franciscan Sisters of the Immaculate also became an institute with Pontifical Right. There are also Third Order Franciscan Sisters of the Immaculate, an offshoot of the Franciscan Tertiaries of the Immaculate. The Community of the Franciscan Friars of the Renewal started in 1987, and the Franciscan Sisters of the Renewal in 1988. The Franciscan Missionaries of the Eternal Word started in 1987, and are now a Public Clerical Association of the Faithful. Franciscans International  is a Non-governmental organization (NGO) with General Consultative status at the United Nations, uniting the voices of Franciscan brothers and sisters from around the world. It operates under the sponsorship of the Conference of the Franciscan Family (CFF) and serves all Franciscans and the global community by bringing grassroots Franciscans to the United Nations forums in New York City and Geneva. It brings the spiritual and ethical values of the Franciscans to the United Nations and international organisations. The Order of Saint Francis (OSF) is a U.S.-founded order within the Anglican world communion, an open, inclusive, and contemporary expression Franciscan life by Anglican Friars. 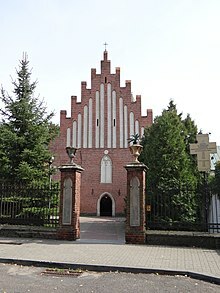 There are also some small Franciscan communities within European Protestantism and the Old Catholic Church. There are some Franciscan orders in Lutheran Churches, including the Order of Lutheran Franciscans, the Evangelical Sisterhood of Mary, and the Evangelische Kanaan Franziskus-Bruderschaft (Kanaan Franciscan Brothers). In addition, there are associations of Franciscan inspiration not connected with a mainstream Christian tradition and describing themselves as ecumenical or dispersed. Among Catholic religious, Franciscans have proportionally reported higher ratios of stigmata and have claimed proportionally higher ratios of visions of Jesus and Mary. [ citation needed] Saint Francis of Assisi himself was one of the very first reported cases of stigmata, and perhaps the most famous stigmatic of modern times is Saint Padre Pio, a Capuchin, who also reported visions of Jesus and Mary. Pio's stigmata persisted for over fifty years and he was examined by numerous physicians in the 20th century, who confirmed the existence of the wounds, but none of whom could produce a medical explanation for the fact that his bleeding wounds would never get infected. According to the Encyclopaedia Britannica, his wounds healed once, but reappeared. According to the Columbia Encyclopedia [ better source needed] some medical authorities who examined Padre Pio's wounds were inclined to believe that the stigmata were connected with nervous or cataleptic hysteria. According to Answers.com [ better source needed] the wounds were examined by Luigi Romanelli, chief physician of the City Hospital of Barletta, for about one year; Giorgio Festa, a private practitioner who examined them in 1920 and 1925; Giuseppe Bastianelli, a physician to Pope Benedict XV, who agreed that the wounds existed but made no other comment; and pathologist Amico Bignami who also observed the wounds but made no diagnosis. The Franciscans established the Studium Biblicum Franciscanum as an academic society based in Jerusalem and Hong Kong for the study of scripture. The Hong Kong branch founded by the Blessed Gabriele Allegra produced the first complete translation of the Catholic Bible in Chinese in 1968 after a 40-year effort. The Studium Biblicum Translation is often considered the Chinese Bible among Catholics. The early efforts of another Franciscan, namely Giovanni di Monte Corvino who had attempted a first translation of the Bible in Beijing in the 14th century, provided the initial spark for Gabriele Allegra's 40 year undertaking, when at the age of 21 he happened to attend the 6th centenary celebration for Monte Corvino. 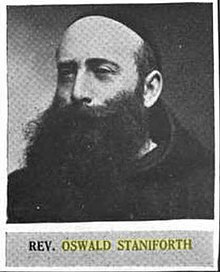 The Franciscan order boasts a number of distinguished members. 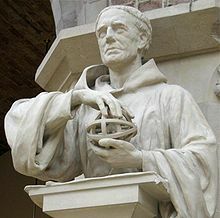 From its first century can be cited the three great scholastics Alexander of Hales, Bonaventure, and John Duns Scotus, the "Doctor of Wonders" Roger Bacon, and the well-known mystic authors and popular preachers David of Augsburg and Berthold of Regensburg. During the Middle Ages noteworthy members included Nicholas of Lyra, Biblical commentator Bernardino of Siena, philosopher William of Ockham, preachers John of Capistrano, Oliver Maillard, and Michel Menot, and historians Luke Wadding and Antoine Pagi. In the field of Christian art during the later Middle Ages, the Franciscan movement exercised considerable influence, especially in Italy. The influence of Franciscan ideals shows in several great painters of the 13th and 14th centuries, especially Cimabue and Giotto, who, though they were not friars, were spiritual sons of Francis in the wider sense; it is also seen in the plastic masterpieces of the latter, as well as the architectural conceptions of both himself and his school. The Italian Gothic style, whose earliest important monument is the great convent church at Assisi (built 1228–53), was cultivated as a rule principally by members of the order or men under their influence. The early spiritual poetry of Italy was partially inspired by Francis himself, who was followed by Thomas of Celano, Bonaventure, and Jacopone da Todi. Through a tradition which held him to have been a member of the Franciscan Third Order, even Dante may be included within this artistic tradition (cf. especially Paradiso, xi. 50). Other famous members of the Franciscan family include Anthony of Padua, François Rabelais, Alexander of Hales, Giovanni da Pian del Carpini, Pio of Pietrelcina, Maximilian Kolbe, Pasquale Sarullo, Mamerto Esquiú, Gabriele Allegra, Junipero Serra, Father Simpliciano of the Nativity, Mychal F. Judge, Fray Angelico Chavez, Anton Docher, Joseph of Cupertino, Benedict Groeschel and Leonard of Port Maurice. 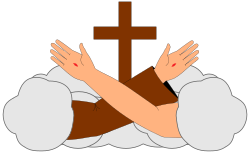 ^ a b c "Do the Franciscans have a coat or arms like many other religious orders?". Franciscan Friars: Province of Santa Barbara. Archived from the original on 2014-02-22. ^ "Seraphic Order", New Catholic Dictionary. 4 September 2006. Retrieved 25 November 2012. ^ "Franciscans, Religious Order". Encyclopaedia Britannica. 26 February 2013. Retrieved 7 January 2017. ^ "Saint Francis of Assisi, Italian Saint". Encyclopaedia Britannica. 26 February 2013. Retrieved 7 January 2017. ^ Bihl, Michael (1913). "Order of Friars Minor" . In Herbermann, Charles (ed.). Catholic Encyclopedia. New York: Robert Appleton Company. ^ a b c d e f "The rule of the Franciscan Order from the Medieval Sourcebook". Fordham.edu. 1999-09-22. Retrieved 2013-06-16. ^ Paschal Robinson (1913). "Order of Friars Minor" . In Herbermann, Charles (ed.). Catholic Encyclopedia. New York: Robert Appleton Company. ^ a b c d Paschal Robinson (1913). "Franciscan Order" . In Herbermann, Charles (ed.). Catholic Encyclopedia. New York: Robert Appleton Company. ^ See Alberzoni, Maria Pia (2004). Clare of Assisi and the Poor Sisters in the Thirteenth Century. St. Bonaventure, NY: Franciscan Institute. ISBN 9781576591956. ^ Paschal Robinson (1913). "St. Francis of Assisi" . In Herbermann, Charles (ed.). Catholic Encyclopedia. New York: Robert Appleton Company. ^ "Franciscan Custody of the Holy Land". Christusrex.org. Archived from the original on 2013-06-15. Retrieved 2013-06-16. ^ Pope Nicholas III. "English translation 2". Retrieved 2013-06-16. ^ English translation 1; cf. English translation 2 and another translation in Rosalind B. Brooke, The Image of St Francis (Cambridge University Press, 2006 ISBN 978-0-521-78291-3), p. 98. ^ "Origins of papal infallibility, 1150-1350:a study on the concepts of infallibility, sovereignty and tradition in the Middle Ages". Brill Archive. 1972. Retrieved 2013-06-16. ^ a b "Klaus Schatz, Papal Primacy (Liturgical Press, Collegeville, Minnesota 1996 ISBN 978-0-8146-5522-1) pp. 117-118". Retrieved 2013-06-16. ^ a b c d e f "History of the Franciscan Movement (3)". Christusrex.org. 2001-12-30. Archived from the original on 2013-05-22. Retrieved 2013-06-16. ^ a b "Christopher Kleinhenz, Medieval Italy: An Encyclopedia (Routledge 2003 ISBN 978-0-415-93930-0), vol. 1, p. 373". Retrieved 2013-06-16. ^ "John XXII, Quia nonnunquam". Archived from the original on 2014-06-06. ^ "John XXII, Ad conditorem canonum". Archived from the original on 2014-06-06. ^ "Tierney, p. 181". Retrieved 2013-06-16. ^ "John XXII, Quia vir reprobus". Archived from the original on 2013-06-03. ^ "Catholic Encyclopedia Inquisition". New Advent. Retrieved October 1, 2018. ^ "Witches in Religion". New Advent. Retrieved October 1, 2018. ^ Clement, Geoffrey Ward (2013). "A Franciscan Inquisitor's Manual and its Compositional Context: "Codex Casanatensis"". Etd Collection for Fordham University: 1–372. Retrieved October 1, 2018. ^ "Poor Clare Sisters". Retrieved 9 December 2016. ^ "Third Order Regular". Francescanitor.org. 2013-05-12. Retrieved 2013-06-16. ^ "The Franciscan Orders". FranciscansTOR.org. Franciscan Friars, TOR. Archived from the original on 2008-07-23. Retrieved 2007-07-10. ^ "Tertius Ordo Regularis Sancti Francisci | History". Retrieved 2018-12-18. ^ "Franciscans International". Franciscans International. 2013-04-10. Retrieved 2013-06-16. ^ "The Little Sisters of St. Clare". ^ For example, the OSFOC[ permanent dead link]. ^ "Living Simply". Franciscans in Action. Retrieved 21 January 2017. "Franciscan Spirituality". Conventual Franciscans. ^ "What is Franciscan Spirituality?". Saint Joseph Cupertino Fraternity, Secular Franciscan Order (OFS). Retrieved 29 January 2017. ^ "Bartleby.com: Great Books Online -- Quotes, Poems, Novels, Classics and hundreds more". Archived from the original on 2007-11-30. ^ "Padre Pio: Biography and Much More from". Answers.com. Retrieved 2013-06-16. ^ Handbook of Middle American Indians, Vol. 13: Guide to Ethnohistorical Sources, Pt. 2. Howard F. Cline (ed.). Austin: University of Texas Press, 1973, pp. 142-143, 186-239, 256-275. Aguiar de Castro, José Acácio (1997). O simbolismo da natureza em Santo António de Lisboa. Biblioteca humanística e teológica (in Portuguese). 11. Porto: Universidade Católica Portugesa, Fundação Eng António de Almeida. ISBN 978-9728386030. Retrieved 31 May 2016. Arnald of Sarrant (2010). Chronicle of the Twenty-Four Generals of the Order of Friars Minor. Translated by Noel Muscat. Malta: TAU Franciscan Communications. Retrieved 31 May 2016. Burr, David (2010). Spiritual Franciscans: From Protest to Persecution in the Century After Saint Francis. University Park, Pennsylvania: Pennsylvania State University Press. ISBN 978-0-271-04138-4. Retrieved 30 May 2016. Camps, Arnulf; McCloskey, Patrick (1995). The Friars Minor in China (1294-1955): Especially the Years 1925-55, Based on the Research of Friars Bernward Willeke and Domenico Gandolfi, OFM. History series. 10. Franciscan Institute Publications. ISBN 978-1-57659-002-7. Retrieved 30 May 2016. Carmody, Maurice (1994). The Leonine Union of the Order of Friars Minor: 1897. History series. 8. Franciscan Institute Publications. ISBN 978-1-57659-084-3. Retrieved 30 May 2016. Carmody, Maurice (2008). The Franciscan Story. Athena Press. ISBN 978-1-84748-141-2. Retrieved 30 May 2016. Cotter, Francis J. (1994). Roberta A. McKelvie (ed.). The Friars Minor in Ireland from their arrival to 1400. History series. 7. Franciscan Institute Publications. ISBN 978-1-57659-083-6. Retrieved 30 May 2016. Couturier, David B. (2007). The Fraternal Economy: A Pastoral Psychology of Franciscan Economics. Cloverdale Books. ISBN 978-1-929569-23-6. Retrieved 30 May 2016. Daniel, E. Randolph (1992). The Franciscan Concept of Mission in the High Middle Ages. Franciscan Pathways Series. Franciscan Institute Publications. ISBN 978-1-57659-065-2. Retrieved 30 May 2016. Esser, Kajetan (1970). Origins of the Franciscan Order. Franciscan Herald Press. ISBN 978-0-8199-0408-9. Retrieved 30 May 2016. Flood, David; Matura, Thaddée (1975). The Birth of a Movement: A Study of the First Rule of St. Francis. Franciscan Herald Press. ISBN 978-0-8199-0567-3. Retrieved 30 May 2016. 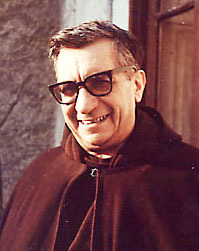 Francis of Assisi (1982). Francis and Clare: The Complete Works. Classics of Western spirituality. Translated by Regis J. Armstrong and Ignatius C. Brady. New York: Paulist Press. ISBN 978-0809124466. Retrieved 30 May 2016. The Saint. Francis of Assisi: Early Documents. 1 (2nd ed.). New City Press. 1999. ISBN 978-0-904287-62-2. Retrieved 30 May 2016. The Founder. Francis of Assisi: Early Documents. 2 (Illustrated ed.). New City Press. 2000. ISBN 978-1-56548-113-8. Retrieved 30 May 2016. The Prophet. Francis of Assisi: Early Documents. 3 (Annotated ed.). New City Press. 2001. ISBN 978-1-56548-114-5. Retrieved 30 May 2016. Index. Francis of Assisi: Early Documents. 4 (Annotated ed.). New City Press. 2002. ISBN 978-1-56548-172-5. Retrieved 30 May 2016. Gilliat-Smith, Ernest (1914). Saint Clare of Assisi: her life and legislation. London: J.M. Dent & Sons, Ltd. ISBN 978-0665656316. Retrieved 31 May 2016. Lawrence, C.H. (2015). Medieval Monasticism: Forms of Religious Life in Western Europe in the Middle Ages. Medieval World Series (4th ed.). Routledge. ISBN 978-1-317-50467-2. Retrieved 30 May 2016. Lynch, Cyprian J. (1988). A Poor Man's Legacy: An Anthology of Franciscan Poverty. Franciscan Pathways Series. Franciscan Institute. ISBN 978-1-57659-069-0. Retrieved 30 May 2016. MacVicar, Thaddeus (1963). The Franciscan Spirituals and the Capuchin Reform. History series. 5. Franciscan Institute Publications. ISBN 978-1-57659-086-7. Retrieved 30 May 2016. Merlo, Grado Giovanni (2009). In the Name of St. Francis: A History of the Friars Minor and Franciscanism until the Early Sixteenth Century. Translated by Robert J. Karris and Raphael Bonanno. Franciscan Institute Publications. ISBN 978-1-57659-155-0. Moorman, John Richard Humpidge (1983). Medieval Franciscan houses. History series. 4. Franciscan Institute Publications. ISBN 978-1-57659-079-9. Retrieved 30 May 2016. Moorman, John Richard Humpidge (1988). A History of the Franciscan Order: From Its Origins to the Year 1517. Franciscan Herald Press. ISBN 978-0-8199-0921-3. Retrieved 30 May 2016. Osborne, Kenan B. (1994). The History of Franciscan Theology. Franciscan Institute Publications. ISBN 978-1-57659-032-4. Retrieved 30 May 2016. Sharp, Dorothea Elizabeth (1966). Franciscan Philosophy at Oxford in the Thirteenth Century. British Society of Franciscan Studies. 16. Oxford University Press. ISBN 978-0-576-99216-9. Retrieved 30 May 2016. Thomson, Williell R. (1975). Friars in the Cathedral: The First Franciscan Bishops 1226-1261. Studies and texts. 33. Toronto: Pontifical Institute of Mediaeval Studies. ISBN 9780888440334. ISSN 0082-5328. Retrieved 31 May 2016. White, Joseph M. (2004). Peace and good in America: a history of Holy Name Province Order of Friars Minor, 1850's to the present (Illustrated ed.). Holy Name Province OFM. ISBN 978-1-57659-196-3. Retrieved 30 May 2016. Halevi, Masha (2012). "Between Faith and Science: Franciscan Archaeology in the Service of the Holy Places". Middle Eastern Studies. 48 (2): 249–267. doi: 10.1080/00263206.2012.653139. Schmucki, Oktavian (2000). "Die Regel des Johannes von Matha und die Regel des Franziskus von Assisi. Ähnlichkeiten und Eigenheiten. Neue Beziehungen zum Islam". In Cipollone, Giulio (ed.). La Liberazione dei 'Captivi' tra Cristianità e Islam: Oltre la Crociata e il Gihad: Tolleranza e Servizio Umanitario. Collectanea Archivi Vaticani. 46. Vatican City: Archivio Segreto Vaticano. pp. 219–244. Wikimedia Commons has media related to Franciscans. Luke Wadding Papers: correspondence relating to Fr Luke Wadding OFM and the Irish Friars Minor at St. Isidore's College, Rome, on ecclesiastical and political matters; and concerning his interests as historian of the Franciscan Order. A UCD Digital Library Collection.
" All Creatures of Our God and King"